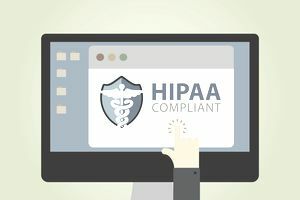 HIPAA is an acronym for “Health Insurance Portability and Accountability Act.” HIPAA was enacted to ensure the privacy and confidential handling of medical information for all patients in the U.S. It applies to all medical and mental health service providers. The statement must tell your patient clients what you do with their information and it either must be signed by the patient, or the patient must sign a HIPAA consent form that they have received a copy of your privacy practices prior to signing a HIPAA consent form. This free sample HIPAA privacy practices statement is not intended to serve or substitute as a legal document or as legal advice for your own medical, mental health, or any other service organization or business. The following sample HIPAA privacy practices statement is the information practices statement the national-level non-profit I founded and run uses. It was specifically worded for nonprofit services (free medical services) but can be adapted for use by for-profit businesses as well. I have replaced the name of my own organization with “Imaginary Health Services Nonprofit” (ISHN). Be sure to remove this fictitious name and replace it with the name of your own business. You should also revise this document to detail your own privacy policies and have an attorney review it to make sure it meets the legal requirements of your own business before using it. How We Collect Information About You: Imaginary Health Services Nonprofit. (IHSN) and its employees and volunteers collect data through a variety of means including but not necessarily limited to letters, phone calls, emails, voicemails, and from the submission of applications that are either required by law or necessary to process applications or other requests for assistance through our organization. What We Do Not Do With Your Information: Information about your financial situation and medical conditions and care that you provide to us in writing, via email, on the phone (including information left on voicemails), contained in or attached to applications, or directly or indirectly given to us, is held in strictest confidence.